Melodie at Mochi in the Desert suggested I be sure to get over to White Sands while I'm in Las Cruces. 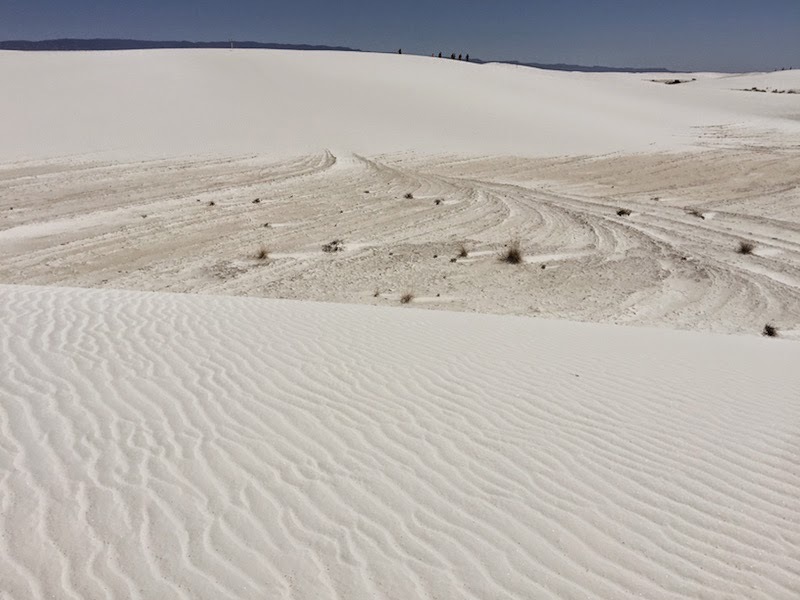 It takes an hour each way from Las Cruces to White Sands. You can spend anywhere from an hour to a full day there. I did the scenic drive, the boardwalk, and hiked some dunes in about an hour and a half. So altogether with the driving it was about 3.5 hours from Las Cruces and back. Naturally, the temperatures can get extreme, so plan accordingly. But the short drive and close highway access make this a much more accessible (and shorter) visit than my recent scenic drive through Death Valley. There's plenty to do: hiking, picnicking, and of course, sightseeing. The visitor center is free, and offers restrooms. (In fact, there are plenty of restrooms all along the scenic drive.) There is a gift shop as well, and the prices are very reasonable, for example souvenir t-shirts for $12.00. 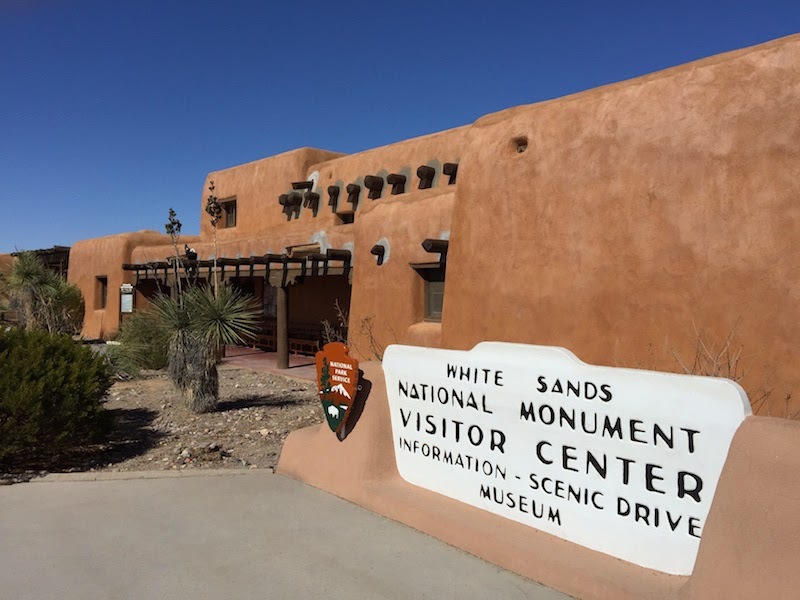 After the visitor center, pay your entrance fee (just $3 for adults) and begin the 8 mile scenic drive. 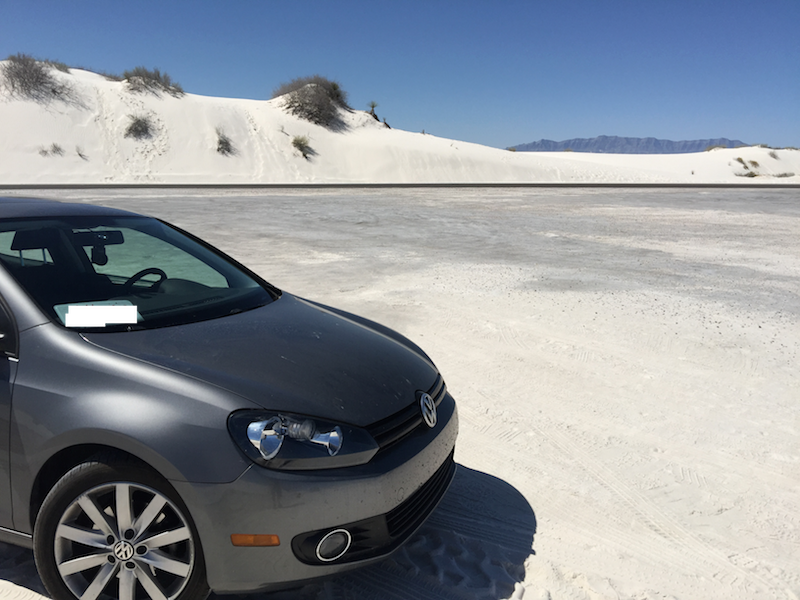 The drive is mostly on hard sand, but it's no problem even for small cars. 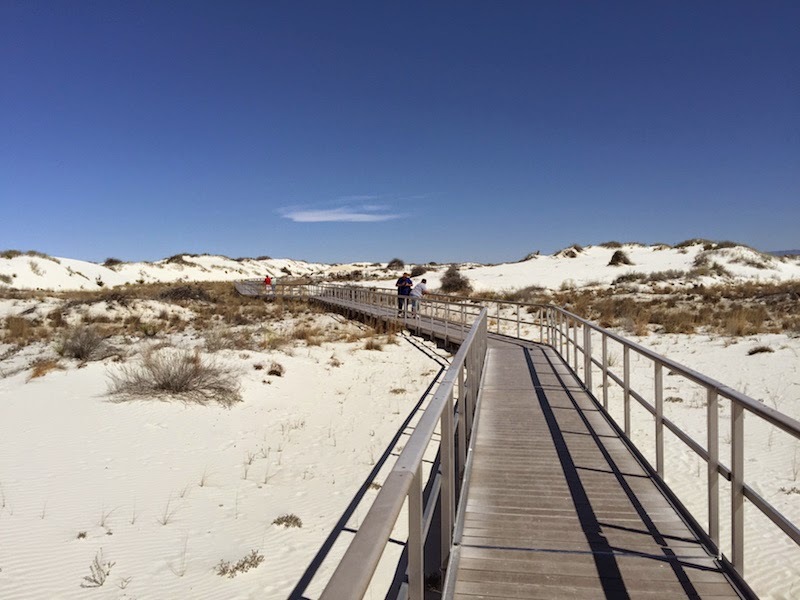 The interdune boardwalk is a short stroll into the dunes that anyone can take. Displays explain the animals and plants you might see, and all along the way you are given a wonderful view of the dunes. 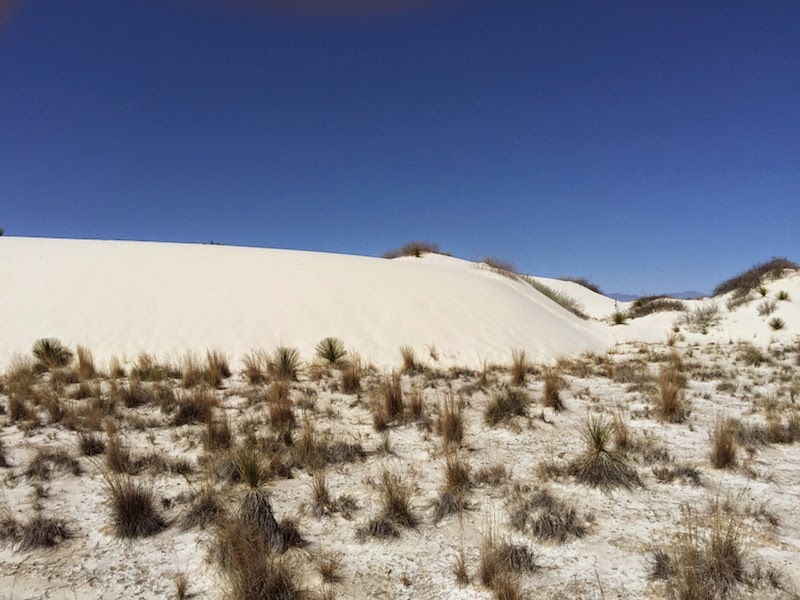 There are plenty of places to park and hike the dunes, and also there is a marked trail (Alkali Flats trail) which you can walk. It's five miles, so be sure to bring water if you decide to hike it. I even saw plenty of kids (and adults!) sliding down the sand dunes on snow saucers! I'm not sure what they call it -- sand saucering? dune sledding? Whatever it's called, it looked like a lot of fun. TIP: Melodie suggests visiting for the sunset tour at Whites Sands for a spectacular sunset over the Organ Mountains. Times vary by year s so check the park's web site.